Over the last 20 years Adam has worked in a creative capacity at agencies including Jack Morton New York, Host/Havas’s PR arm, Red Agency, Clemenger BBDO’s experiential agency, Traffik, and most recently as a freelance consultant. Over the course of his career he has produced award-winning creative campaigns in Sydney, New York and Dubai, for globally renowned brands including Samsung, Sony, Schweppes, Vivid Sydney and SXSW in Austin, Texas. His work has been recognised at major international and local awards shows including Cannes Lions, The Australian Effies, Spikes Asia and The Mumbrella Awards. 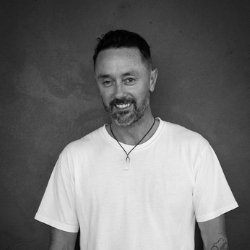 Adam’s career began in fashion marketing and design at Volcom, Ben Sherman and Billabong, and he transitioned agency side when brand experience was first emerging in Australia. From there he evolved into more traditional marketing and advertising roles, where brand experience often had a prominent role to play. A recognised industry leader and passionate environmentalist, Adam is the founder of non-for-profit organisation GoodSurfWax Australia. He was invited to participate in the first D&AD Impact Academy Master Class in New York as part of their 2018 Impact Awards off the back of this. He is a pro-active mentor, guest lecturing on a range of topics related to the creative discipline at Bond University in Queensland, and has sat on judging panels for awards including the Effies North America.